Clinging to the dry towel after all the dishes have been washed, Vanessa is standing in the kitchen waiting to speak to her mother, alone. All of the siblings have taken a room to clean and replace, now that the repast is over. The last of the guest have made their way home and through the somber quiet, the Huxtables clean their home, together. They have stopped wondering ...asking... where Denise may be. They already know she won’t be back. Not surprising but not fair, thinks Vanessa. She begins to muse aloud, “Denise always managed to get out of chores. She’d charm Dad into letting her slide. She slid through most things in her life: chores, school, jobs, marriage, motherhood. They all thought being married to Martin and raising Olivia would give Denise reason enough to be a responsible adult…and why am I talking about Denise? Why am I talking out loud?” Vanessa looks around the kitchen, down the back hall to the dining room and up the back stairs to make sure no one heard her. Thankfully, no one was within ear shot of Vanessa, which in that house, was rare. “Oh…it’s nothing Mom. Just a little jittery. May be too much caffeine or something of that sort…"
Clair swallows back tears to appear strong for the delicate Vanessa. Vanessa was the most emotionally fragile of the pack. She needs her father more than ever now for her father always gave her an open ear. Vanessa feared her mother, at times. She feared her mother’s strength and the idea of having to be as strong one day. Vanessa wonders if that day will ever come. She, in the embrace of her mother, misses her father. Vanessa and Cliff had an understanding that was never spoken: Vanessa needed to be beautiful...to be given care. Cliff was mindful of Vanessa's struggle to identify her value within the ranks of the Huxtable women. She wasn’t the oldest nor the youngest. She wasn’t the most hip nor stylish…like Denise. She was intelligent, but was she as “brilliant” as Sondra? Her chestnut hue wasn’t celebrated as beautiful as compared to her lighter complected sisters nor did her natural hair flow and bounce like Rudy’s. She was just…Vanessa. She couldn’t even be “the” middle child as that distinction belonged to Theo but she was the “middle” child of all the girls and existed in a dullness that only her father saw special. Cliff saw Vanessa as the prize a man should earn. From Robert to Dabnis and all boyfriends in between, Cliff contested their interest in Vanessa by interrogating them or sizing them up in ways that none of the other girls’ boyfriends had to endure. Vanessa felt protected by her father. She felt honored by her father. 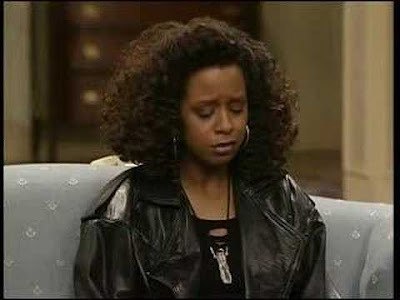 No man would be good enough for Vanessa if they couldn’t honor all the ways Dr. Huxtable found special in his daughter. “Can it wait?” ask Clair, measuring the gravity of Vanessa’s struggle to speak on her matter. Clair extends her arm, pointing the way down the hall, off from the dining room, to her home office. Vanessa makes the long, slow walk down the short hallway as if marching to her pending doom. Vanessa goes into the office first, Clair follows close behind and closes the door. Clair offers Vanessa a seat and sits in her chair across from her, preparing to hear her client’s testimony. There was no warning after all the fits and starts. There was no softening the blow of the extraordinary punch Clair felt in her gut as Vanessa claim the freedom from living in violence done to her. She had finally told…someone. There is a long silence between the two women. Clair doesn’t know what to say that doesn’t come back to the legality of the crime committed against her daughter. Vanessa doesn’t want to proceed with telling her mother the details of her assault on the day of her father’s funeral...not if it's to be an interrogation. Vanessa breaks down and slumps forward in her chair. Clair isn’t quick enough to catch her daughter so they both fall to the floor. Vanessa curl up in a ball as tight as she can and releases the most devastating wail. Vanessa is broken. Vanessa unleashed every tears her shaking body could offer. Finally. Finally…she is safe.